Added Crux Motorsports tinting film to the Crystal part of my Tail Lights. Install took about 5 minutes. 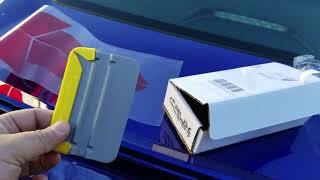 These are 20% tint film. Where did you get the black grille? I ordered it on eBay. 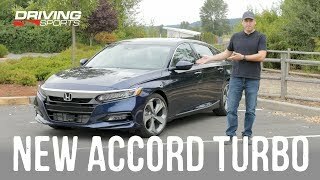 Search 2018 or 2019 accord grill cover. 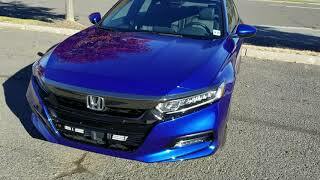 They come in piano black or painted in the same black as the accord. thank you for your video. I noticed them a bit too dark, don't you agree? 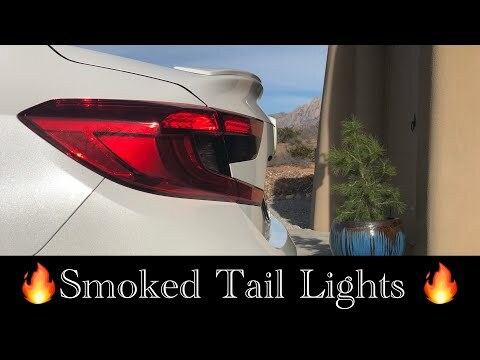 +Fahrenheit Motorsports aftermarket taillights from aliexpress? Sami Ayoub - Yeah they are dark for sure. They only cover the turn signal and reverse light. Both come out fairly clear in the day time. But I’m ultimately going to get new taillights. Joel Galindo - Yeah man I’m thinking about doing full LEDs. 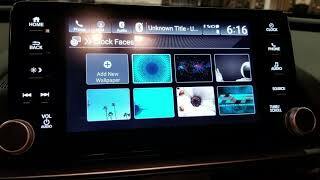 Agreed, both cars have the same pixel count but the accords larger screen doesn’t give as much detail. 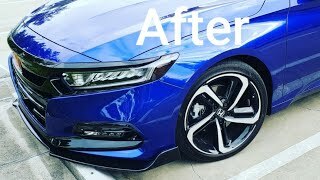 What happens if any mod void the warranty of the car? 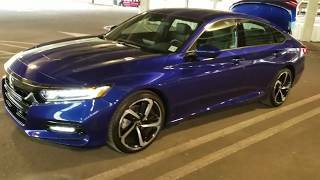 The dealer / Honda has to prove that the modification was the cause of the problem. 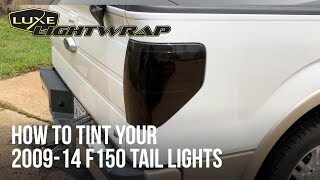 If you tint your tail lights and your motor fails it would still be covered. Hope this makes sense. 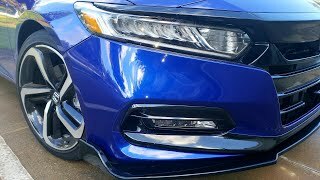 Jay Rodriguez - If Honda determines that you have altered Ecu/Engine components then all future warranty claims will be denied. In my case, I’ll just pay for the repairs out of pocket. But I don’t plan on leaving those tale tale signs. 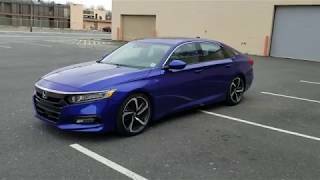 You said you had a 550i, I currently have a ‘13 335xi but find myself looking for new accords...how has the transition been for you? Any regrets? Would you have gone diff trim? 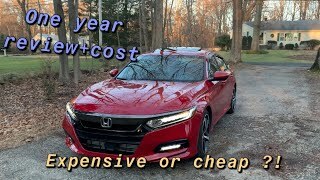 Keep up the videos car looks great; subscribed. Martin Ferrer - The 550i was a rocket ship. I never made any modification other then coilovers. 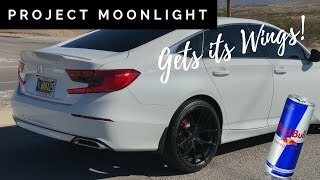 I miss the instant torque of the twin turbo v8 but this sport with upped boost and new sticky tires gives it a run for its money from 0-100. After that the bmw would most likely lose it. If I did anything different, I might choose the touring edition but that’s only for the heads up display which my bmw had. Not worth the additional money in my opinion. Plus you shouldn’t really mess with the touring suspension like I’m about to do with the sport. The dampening and set up are “special” and cost a ton of money. Adaptive Cruise Control (ACC) with Low Speed Follow. Collision Mitigation Braking System™ (CMBS). Forward Collision Warning (FCW) – Integrated into CMBS. Lane Departure Warning (LDW) – Integrated into RDM. All of this for a smaller budget. I’m very happy with the purchase and the car is only going to get better as they continue production. I would highly recommend getting the 2.0T over the 1.5T. Looks sweet! 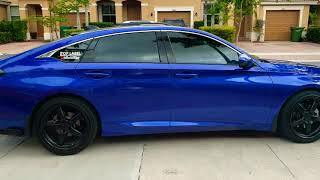 I’m thinking of doing that as well to the wifeys black Accord. You chrome deleting that grill as well? Roy Arce - Yes Sir! It’s already done. Kyron Poullard - Suggested companies? I’m down. 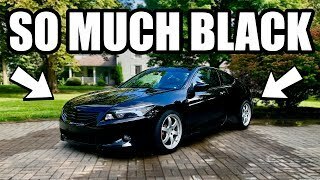 steve felder - Ktuner’s website claims 60 whp and 88 lb-ft of torque over stock. That’s huge when we’re talking dollars for hp. An exhaust system for our cars if more then the tuner and will yield around 8–10 hp. An intake system will net around 10 hp at $300. I wouldn’t worry to much with the system. They provide steps, there are tons of videos to help you along. If you need it, I can also inbox you my contact info and I can guide you through the process. After you do it once, you never need to do it again. And so it really makes a pretty good and difference huh ? steve felder - There we’re only ever two in my opinion that worked well and were tested with dyno proven results. They both do the same thing, advanced tuning done to the ecu to pull more power from the stock setup. I decided to go with KTuner for a few reasons, one of them being a higher power extraction from the flash, but also because you get a really nice tuner unit that’s touch screen and shows live telemetry on the car. 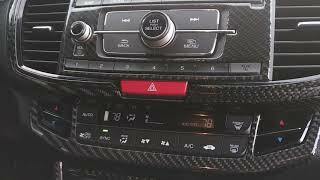 If you have time, check out the videos on my channel for my KTuner install. 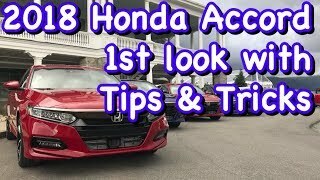 Parts 1 & 2, I go in depth about the install in vid 1 and then resetting the ecu and driving in video 2. I'd red tint the taillights. 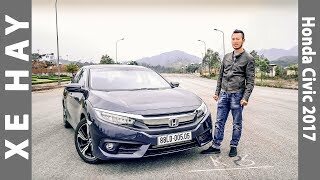 Robin - I was trying to find some like they have for the 10 gen civic. The triple blink when break lights are pressed. 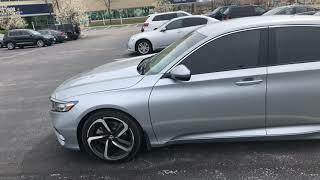 Forgot the company name but quite a few YouTuber have them on their civics. 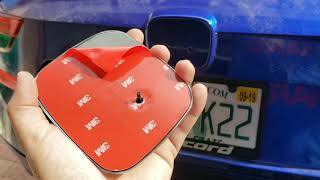 Surprisingly the civic and Accord didn’t have the same part number on that companies website. Robin - yeah I agree. I’m not sold on the smoke for the white car. Suggestions on LED lights? Hey is that lighter(50%) or darker(20%) ones?? 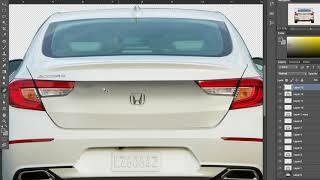 I also have a white accord so wondering which one you installed. Also, do yourself a favor and replace those bulbs with some bright LEDs. Looks good. I did the same thing. You might want brighter reverse lights and turn signals cause you barely see the blinkers. LED possibly. Just trying to find a good dealer. You know that's my worry & what's been stopping me from doing that. H G - yeah man, took me longer to put a decal on my workbench then apply these to my Tail Lights.